UNICEF have compiled data collected during 20 years in 28 countries in Africa and Yemen. For the first time, they include Irak. They summarize their findings in a report released in July 2013 (1). In most countries, a great part of girls and women who have undergone mutilations do not see the benefit of them and believe that this practice should stop. The practice continues mainly because mothers who get their daughter mutilated think that other mothers expect them do it as well. As they never talk together about the topic, they do not know that many women are not favorable. A lot of men are also opposed to them. A key step in the elimination of FGM, UNICEF notices, is to make visible the attitudes that promote the abandonment of these practices so that families know they are not alone to wish their disappearance. The challenge is to push girls and women, boys and men to articulate their desire to discontinue this practice. The report predicts that nevertheless some 30 million girls may be excised during the next decade. This number has not changed over the years. And as I have shown, it would explode if UNICEF took into account the Middle East and South East Asia. The report says nothing about them. However, an NGO that has revealed the case of Iraq, is campaigning for a UN investigation in other affected by the scourge. The UNICEF report includes Iraq for the first time. The German-Iraqi NGO Wadi played a major role concerning this issue. They began their activities in Northern Iraq in 1993. 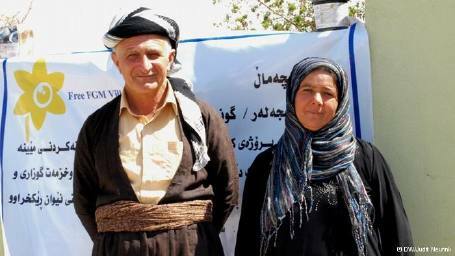 They found that a majority of women in the Kurdistan region were mutilated. The Kurdish regional parliament passed a law, although 550 Islamists and mullahs tried in February 2010 to stop it by a petition. The problem is already decreasing. going to stop performing FGM. Their certificate will enable them to be nurses and first aid assistants. From what I know, Wadi is the only NGO that disputes the UN policy about their unique focus on Africa. In 2012, they launched a campaign entitled “FGM-Also in the Middle East” in cooperation with the Dutch organization Hivos. They have evidence of the existence of FGM in Oman, United Arab Emirates, Saudi Arabia and Kuwait. And of course, the problem is also very serious in Indonesia and Malaysia (2) as I showed in my previous article. All of them are Muslim countries. Oliver M. Piecha is the researcher for the Stop FGM Middle East campaign. He is the author of a very interesting analyse (3). I asked him some questions about the topic. Do you consider that the latest report by UNICEF is a big step forward ? I have criticised this report, but at the same time it must be said, yes it is a good step. I think if we push UNICEF a bit, the next report will include other regions. We hope that they will include Indonesia and other Asian countries. I really think that an interesting debate is starting. If you compare it to ten years ago, when nobody spoke about FGM in the Middle East and a connection with Islam was denied, the situation is starting to look quite different now. The next step will be to put pressure on international organisations to conduct comparable surveys, dealing with FGM in different countries of the Middle East including also Iran. 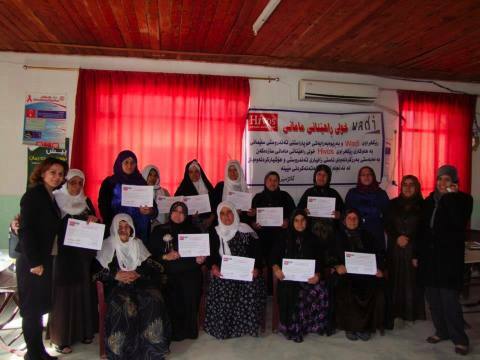 Was it difficult to have FGM recognized as a problem in Iraq ? At the beginning, the findings were doubted and there was also some hostility. where only two years ago still every mother had it done to her daughters. But when we convinced some parliamentarians to push of the law many others followed suit. The Kurdish regional, which were hesitant at the beginning, are quite helpful. A department for domestic violence was created, they school the police and, most important, they called up the private TV channels to tell them that it is OK. to air our Anti-FGM films. Thus, with a government so much on our side, UNICEF could not ignore it. So in 2011, for the first time in Iraq, they included questions about FGM in their multi-cluster household survey. About all these countries, it is a political struggle, but I am optimistic. Has UNICEF data about FGM in other countries ? UNICEF uses their proper method, MICS (Multiple Indicator Cluster Surveys) which include a lot of topics about women and children and between 120 and 130 questions. FGM is one of the modules. Why doesn’t UNICEF mention other Middle Eastern or Asian countries in their report on FGM, such as Indonesia and Malaysia ? Because they never included the module of FGM in these countries. If you never ask, you will not have an official problem with FGM. On the opposite, for 20 years, UN has included this module in Africa, so they have a lot of data from there and they can say that the problem is concentrated on this continent. About Indonesia, they definitely know that FGM is very present there. Why do they wait so long to recognize other realities ? It is a complex answer. They have delivered a truth for years about Africa. Just think of the people who have worked in this field for decades. And suddenly, they would have to confess that there are the same problems elsewhere. And there is another obstacle : to know better about FGM, UN should also re-examine their methodology. In Middle Eastern countries, sexuality is a big taboo. For example, we have a lot of evidence that men simply don’t know that their daughters and even their wives are cut. You can’t go around asking about FGM in an area where nobody is prepared to answer that question. We need surveys in local places that focus especially on FGM. You need open debates e.g. in the medias. So, we are speaking with activists and other local actors to get this process started. But in your opinion, when will UNICEF include other countries in their survey ? There is a new round of MICS Surveys which will begin 2014. In the next two years, they will collect data about the United Arab Emirates, Oman and the Palestinian Territories. But the point is : will they include the FGM module ? Medias and NGO must pressure them. At least, UNICEF has informed us now that they will include the module in their survey in Oman. But what about the other countries ? I think it is time for a change now. UNICEF can’t ignore the problem in the Middle East any longer. It is a long process, but once it has started, it can’t be stopped. So far, according to UNICEF, the new round of investigations don’t include Saudi Arabia, Indonesia and Malaysia. Next deadline : International Day of Zero Tolerance on Female Genital Cutting/mutilation on the 6th februar.